OMG! The Teaser For The Angelica + Carlo Movie Is Here! 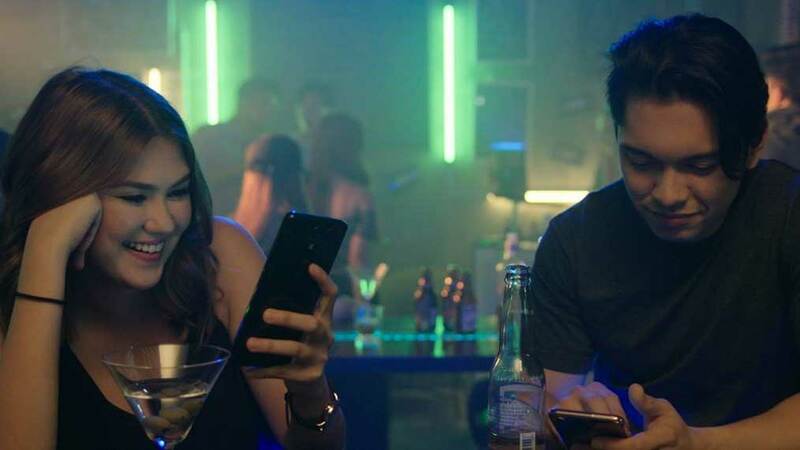 While fans continue hoping that Angelica and Carlo get together again, seeing the chemistry of the actors in the trailer of their movie Exes Baggage will do for now. The teaser was released on August 4, Saturday, on Cinema Bravo's Facebook page. The teaser doesn't reveal much about the Dan Villegas film. But we do get one super cute scene, which looks like the first meeting of Angelica's and Carlos' characters, Pia and Nix, respectively. They meet at a bar and look through each other's social media profiles, and even adorably make fun of each other's old photos. In a PEP.ph article published in January 2018, Carlo explained what the movie is about: "Parang magsisimula ang istorya sa aming college life, then magiging kami. Parang yong istorya ay kung ano ang pinagdadaanan ng isang couple sa isang relationship, parang gano'n ang magiging istorya. Medyo light to heavy drama yong dating." Who's excited for the movie?